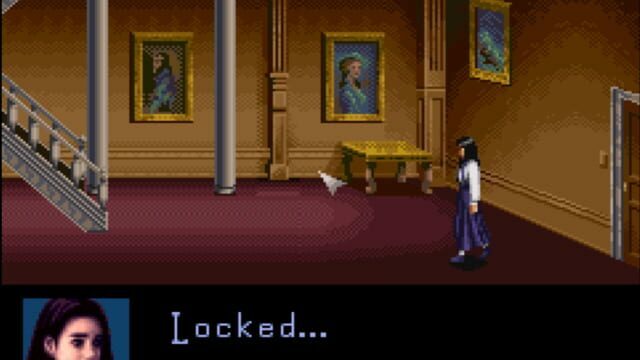 Clock Tower (クロックタワー Kurokku Tawā) (also known as Clock Tower: The First Fear) is a survival horror point-and-click adventure game developed and published by Human Entertainment for the Super Famicom in 1995. It is the first installment of the long-running Clock Tower series. The story follows Jennifer Simpson as she learns the secrets of the Barrows Mansion and attempts to escape the game's antagonist, Scissorman. Jennifer Simpson is a child from the fictional Granite Orphanage in Romsdalen, Norway. She and her friends, who are also orphans (Laura Harrington, Anne and Lotte) are adopted in September 1995 (the same month the game was released) by a wealthy recluse named Simon Barrows, who lives in a mansion known as the "Clock Tower", named after its predominant feature. 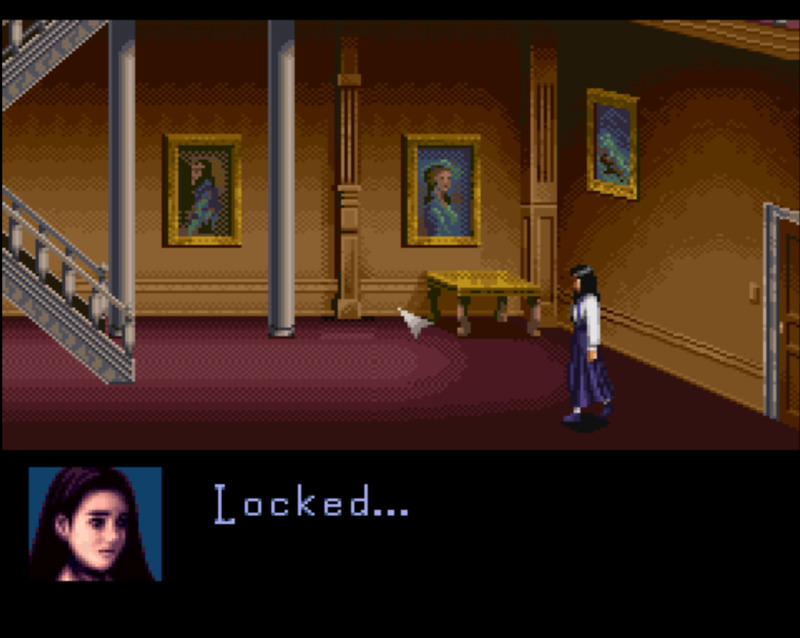 The game immediately begins with these characters walking towards the Barrows mansion and settling in the main foyer. Mary, the woman who brought the children to the mansion, leaves to find Mr. Barrows, but she takes an unusually long time. Jennifer offers to investigate, but upon leaving the room, a scream is heard from the main foyer. Jennifer returns to find the lights are off and the girls are missing.